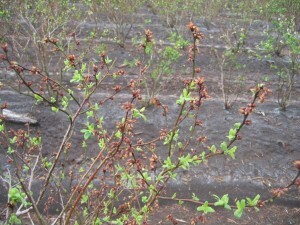 Where freeze damage has occurred on southern highbush, an immediate application of Pristine (unless resistance is confirmed in the field. More info below on that.) at the high rate is recommended. There’s a lot of damaged plants from freeze protection and/or the weather itself. 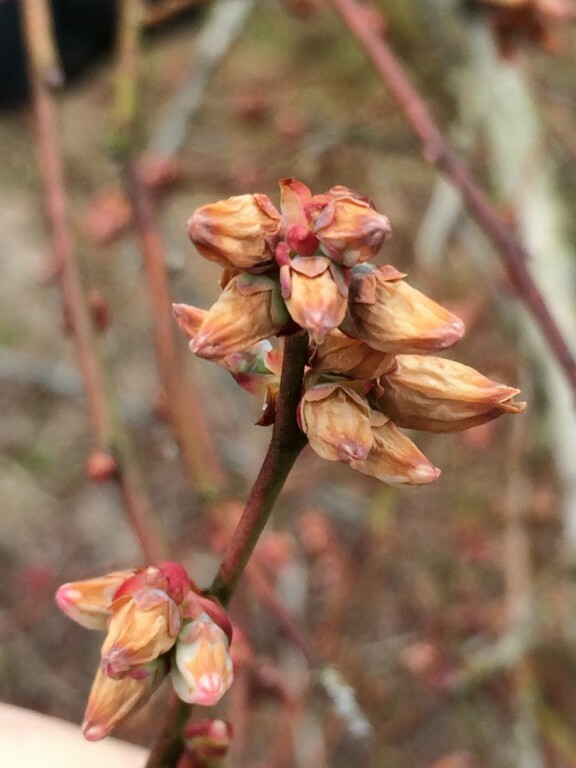 Where cold-damaged blooms/shoots are observed, Botrytis will be a real issue. The optimum temperature for infection of Botrytis is 59-68 F, but the optimum temp for spore germination is actually 68 F and above. That means we will have perfect temperatures for infection within the next day or two. With rain in the forecast it’s perfect conditions for botrytis. Botryosphaeria fungi is also a concern as it will cause dieback that moves down canes to the crown. There will be an advantage to pruning out dead tissue in late February to mid-March. 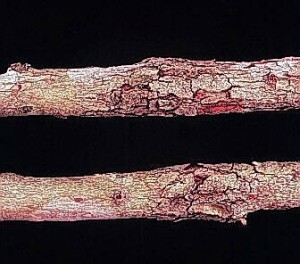 A fungicide should be applied after pruning. 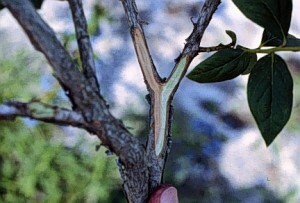 When pruning, review the weather forecast and attempt pruning when 3-4 days of dry weather (no overhead frost protection or irrigation as well) are predicted. This will also help to reduce infections on new pruning cuts, and again, consider use of fungicides after each day of pruning to prevent more infections. 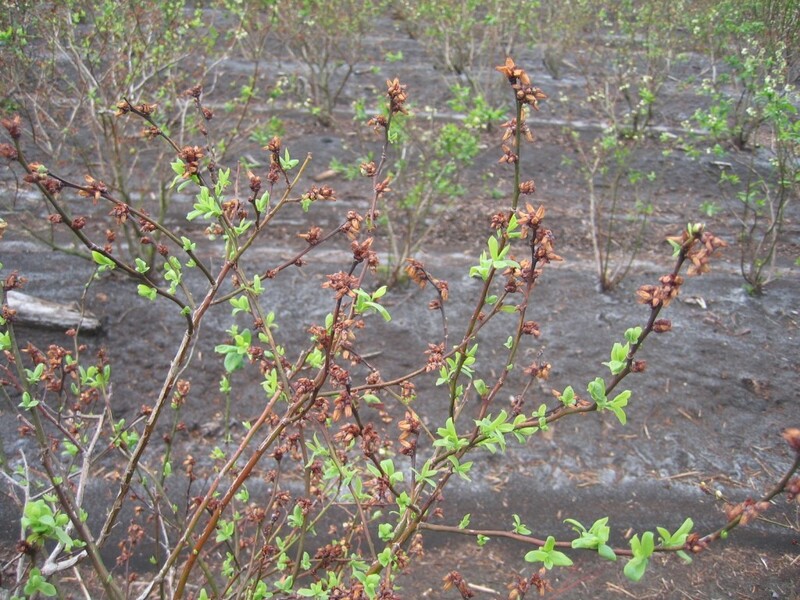 Do not push plants with excessive nitrogen this spring, as this might increase the problem with Botryosphaeria. 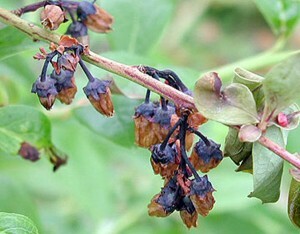 Unless resistance has developed in the Botrytis and Botryosphaeria populations, Pristine should control Botrytis and suppress Botryosphaeria. Pristine does not generally have Exobasidium activity due to resistance development, and another fungicide should be considered. There are several excellent Botrytis materials on the market: Pristine, Switch, Elevate and CaptEvate. Captan has Botrytis activity, but it is not as effective as these newer products. 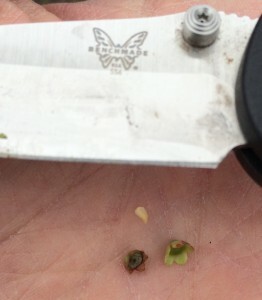 Switch is also excellent, and Botrytis resistance is not likely with one of the components in this fungicide. Apply no more than two applications of Pristine before switching to another product with a different mode of action. Again, Captan alone is the least effective relative Botrytis management, but it will not have developed resistance. Info provided by Dr. Phil Brannen, Dr. Gerard Krewer, Dr. Bill Cline (NC State), Dr. Dave Lockwood (Univ. of TN) and Danny Stanaland. Posted in Blueberry. Bookmark the permalink. Previous: Freeze Protecting Blueberries. What Went Wrong?